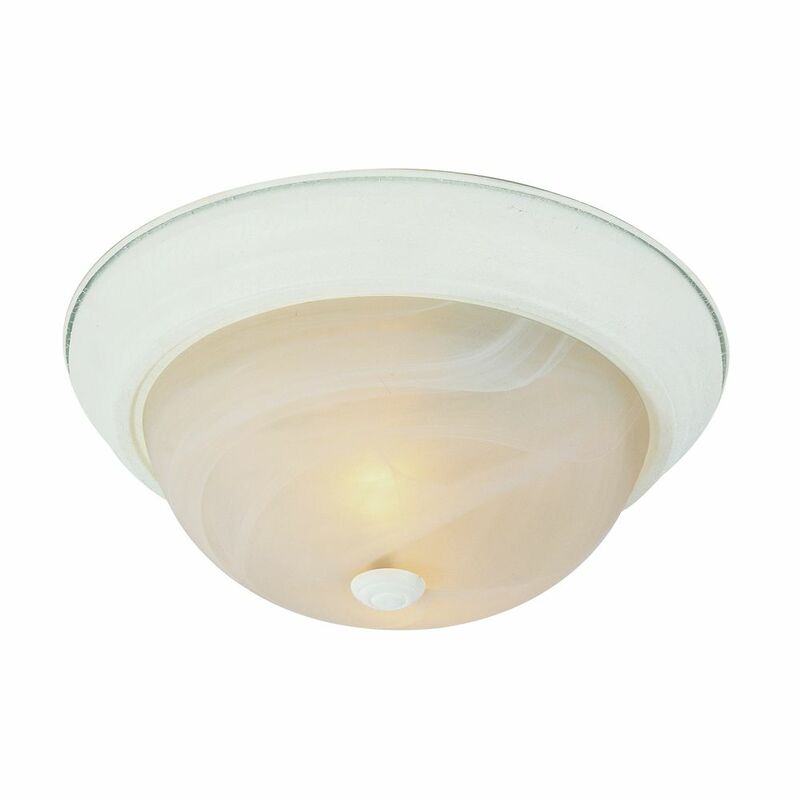 Transitional simplistic flush mount will add work area lighting to kitchen, closet, or hall. Fixture includes installation instructions, hardware and easily fits over existing ceiling openings to quickly replace existing flushmount. Suitable for damp locations. Perfect for bath, kitchen, and service porch areas. Halogen bulb(s) included. This breathtaking 2 Light Flush Mount with Brushed Golden Brown Finish is a beautiful piece from our Solis Collection. With its sophisticated beauty and stunning details, it is sure to add the perfect touch to your dicor. Matte chrome softly rims a unique double layered flushmount. The overlaid rings provide complex and fulfilling illumination. Lucid ivory white acrylic is a soothing selection that disseminates the light abundantly. White and Marbled 15 inch Flush Mount Classic melon glass shade for a traditional contemporary look. Full coverage flushmount easily hides existing ceiling flushmount opening. Suitable for damp locations making fixture a perfect fit for bath, kitchen, and service porch areas.